To all who listen to his voice. And sends us forth as gospel witnesses. Of the coming of your reign of justice. The Provincial Offices will be closed as of 2:00 p.m. on Holy Thursday (April 18) and not reopen until Tuesday, April 23. There will be no Fridge Notes published on April 22 and no Dehonian Spirituality published on April 19 (Good Friday). As always, be sure to check the US Province Facebook page for updates in-between issues of the Fridge Notes. The lobby at Sacred Heart Seminary and School of Theology was packed last Wednesday for the Dehon Lecture. Sr. Norma Pimentel, MJ, executive director of Catholic Charities of the Rio Grande Valley, was the featured speaker. Many have come to know her through her work with the Humanitarian Respite Center in McAllen, Texas. “We are restoring humanity,” is how she describes the work of the center. Since 2014 she and volunteers from a variety of area faith communities, as well as civic and business leaders, have assisted migrants on their asylum journey. However, she insists that it is the responsibility of all Americans to help in this migration crisis. This spring’s Dehon Lecture was a joint effort of SHSST and the North American Migration Commission. Click here to view photos from the Dehon Lecture. Besides Sr. Norma, attendees of the Dehon Lecture also heard from several immigrants who shared their own stories of migration. During the midday Mass, Fr. Vien Nguyen, SCJ, spoke of his experience as a migrant from Vietnam. 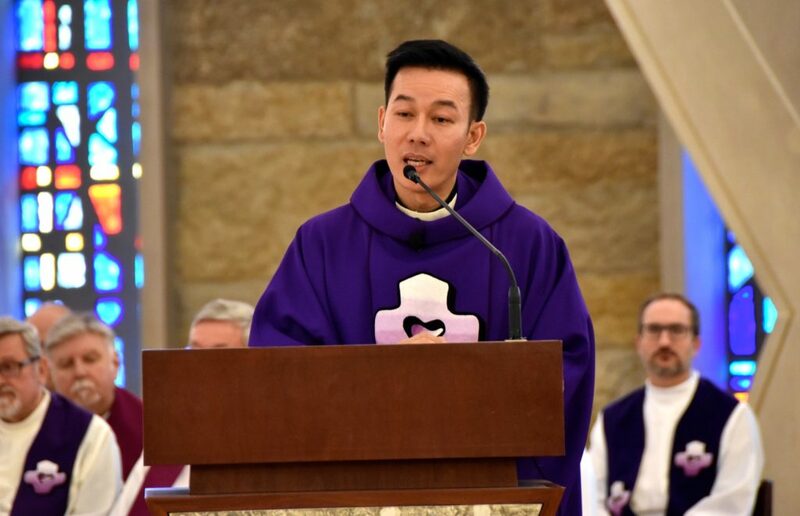 Click here to read his full homily. As noted above, the Dehon Lecture was organized as a joint effort between the North American Migration Committee and SHSST. That committee recently welcomed two new members: Fr. Claude Bédard, SCJ, and Lily Ooi. 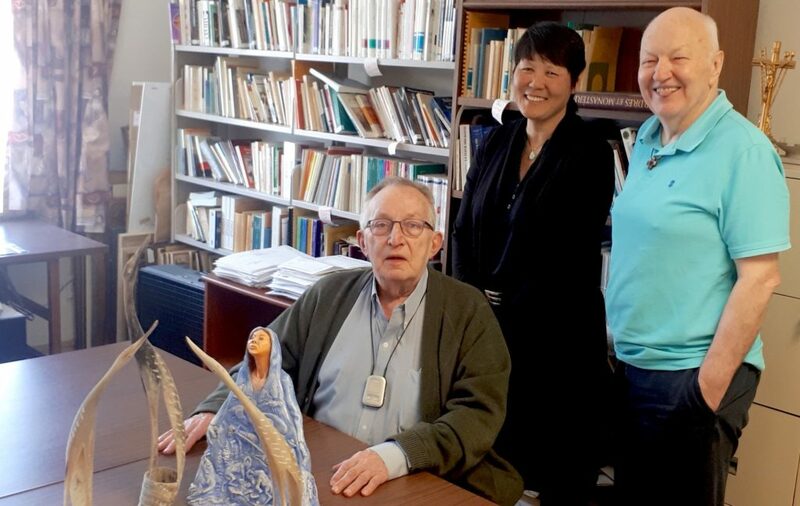 Lily is a member of the worship community at Dehon House in Ottawa. Fr. Peter met with the new committee members in Montréal on Saturday, April 13. He said that “It was a time to get to know each other, revisit not only the work of the North American Migration Committee, of which they are also now members, but also to explore possibilities for how to accompany and join with the members of the three local communities of Canada in their response to what refugees are experiencing. Besides their academic studies, high school seniors at St. Joseph’s Indian School in Chamberlain, SD, also receive instruction in what the school calls “adulting.” Houseparents teach their students about grocery shopping, cooking, budgeting, bill-paying, and how to apply for a job. Last week the school profiled the “adulting” efforts on its blog. 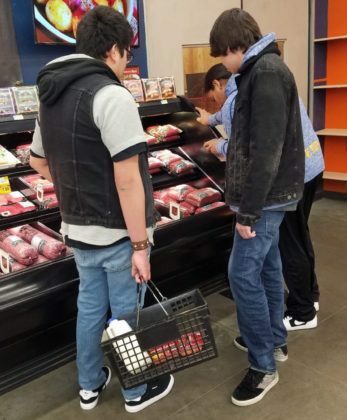 Students were given a budget, sent to the grocery store and left to purchase and organize a meal. Click here to read more on St. Joseph’s blog. Last week SCJs in the US Province and Canadian Region were sent a letter (via email) from the assembly planning committee. In it was a reminder to RSVP to the gathering. If you have not done so, please click here to indicate whether you will or will not attend the June 11-14 assembly. You can also RSVP by contacting Mary Gorski via email or by phone (414-427-4266). The assembly will begin at 8:30 a.m. on Tuesday, June 11, in the Provincial Conference Center. The province jubilees will take place at 4:30 p.m. on Monday, June 10. 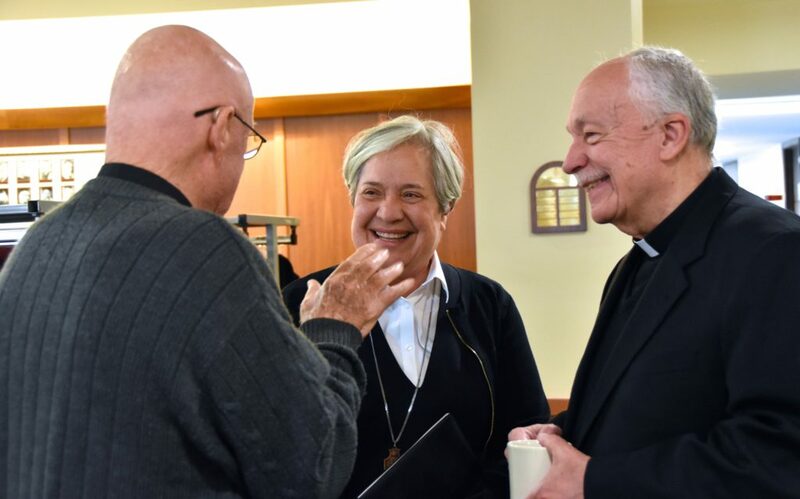 Jubilarians are working on the final details of their celebration and anticipate having invitations in the mail soon. Province gatherings and celebrations, Provincial Council meetings, birthdays and other items are listed in the online North American calendar. Click here to access it. You can also find a link for the calendar at the bottom of each page on the province website and at the bottom of the e-mail version of the Fridge Notes. Do you have something to add to the calendar? Committee meetings? Local celebrations? SCJ retreats? Click here to submit a calendar item. New items will also be shared in the Fridge Notes as they are received. Subscribe to our weekly news!